It’s a strenuous trek up a steep sandy trail, with steps and rocky lookout points, but the sweaty ascent is short and the views at the top are well worth it. 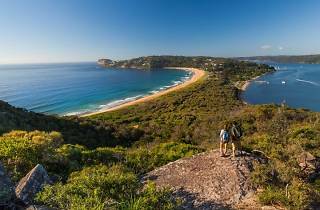 As you’re climbing, look back at Palm Beach on the left (east) and Pittwater to the right (west). There is an access trail, which cuts out some of the climb but is still steep and narrow. 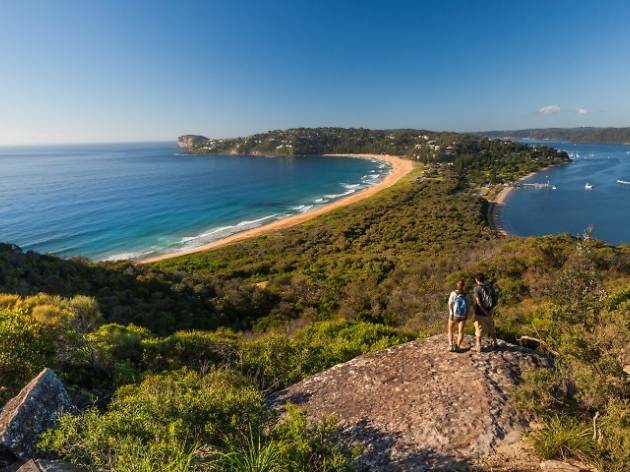 The 1800s lighthouse sits at Sydney’s northern-most point, Barrenjoey Head, so at the peak you’ll have spectacular views over Hawkesbury River and Broken Bay. In wintertime you can spot humpback whales as they migrate south. You can also tag onto a guided walk of the lighthouse every Sunday (every 30 minutes from 11am-3pm; $2-$5). Should I bring snacks? Only if you’re hunkering down for whale migration season. This is a swift walk that requires a few catch-your-breath breaks, so we suggest refuelling at the Boathouse Palm Beach to reward your efforts.